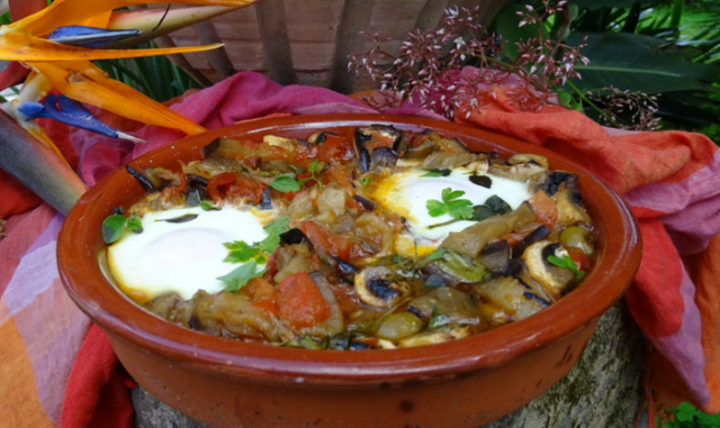 Shakshuka is a North African dish with vegetables and eggs cooked in a tomato sauce. Cover and cook another 10 minutes. Break an egg into each hollow in the pan.